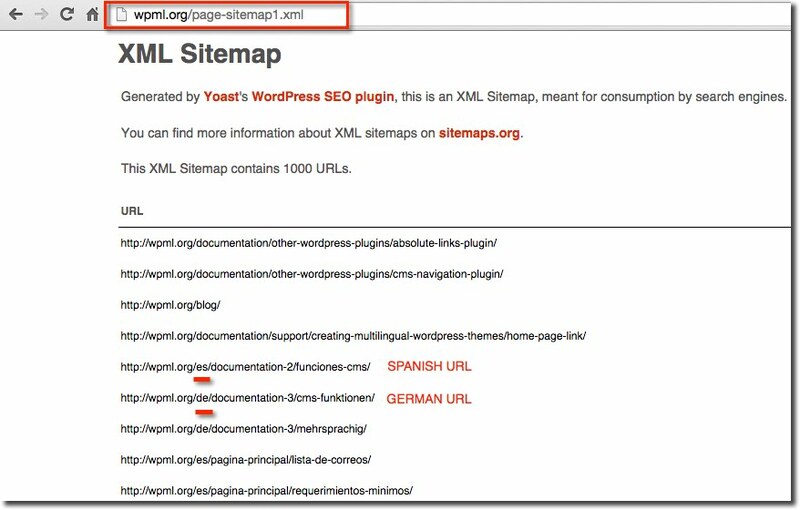 A common question in multilingual WordPress websites is how to make sitemaps in different languages. 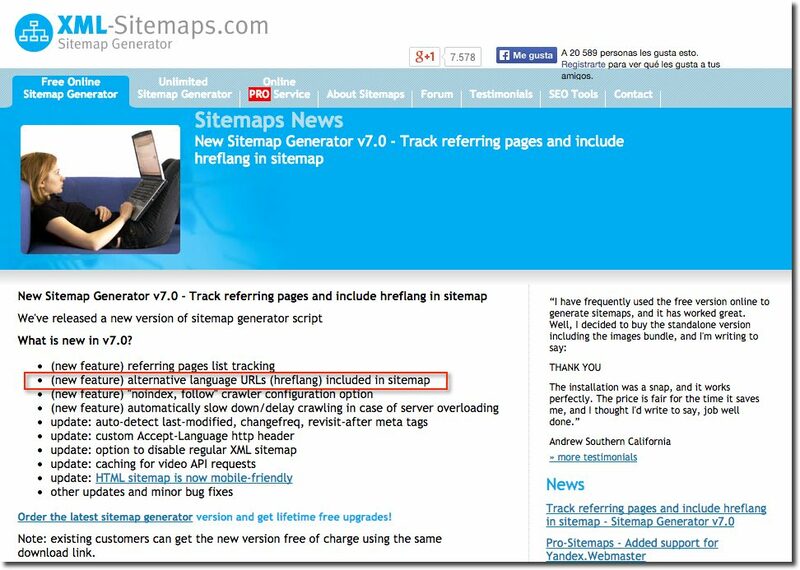 Create a sitemap in two o more languages implies including additional attributes (hreflang tags), but sitemap plugins for WordPress don’t add these attributes. However some translation plugins include these annotations in header. 1. What information can include an XML sitemap? However sitemaps also can include information about alternative language URLs in multilingual websites (hreflang annotation). 2. What is hreflang annotation? One of the main difficulties with multilingual SEO is the successful targeting of the correct website to the correct country or region, so that search users in a country or region find the site that is aimed at them. One useful solution to this problem is using hreflang attributes (rel=”alternate” hreflang=”x”). These attributes were released at the end of 2011 and updated in 2013 to support the x-default value. It’s used by Google (and Yandex) to correctly identify the language and also the country targeting of multilingual websites (Bing uses the “content-language” meta tag). This example shows a subdomain but it works across different domains or subfolders. If you’re using in your website a translation plugin in a single WordPress installation (such as WPML or Polylang) or a translation plugin in a WordPress Multisite environment (such as Multilingual Press or Multisite Language Switcher), then you do not have to worry because these plugins can automatically include these attributes in your website header. 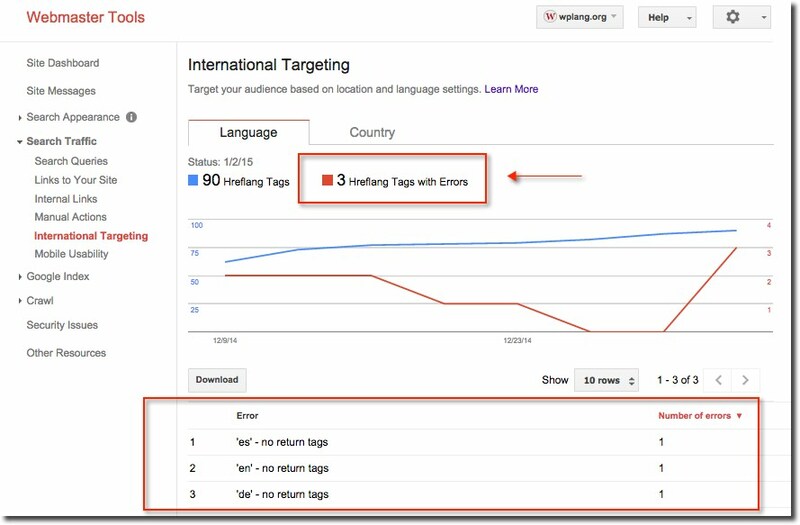 IMPORTANT: Google recommends choosing only one way to implement hreflang annotations, in order to avoid errors. 3. How can you make an XML sitemap with alternative languages? The first option is create your sitemap manually following Sitemaps XML protocol, but this can be time-consuming. It’s much better to use a WordPress plugin or a special software to create sitemaps automatically. 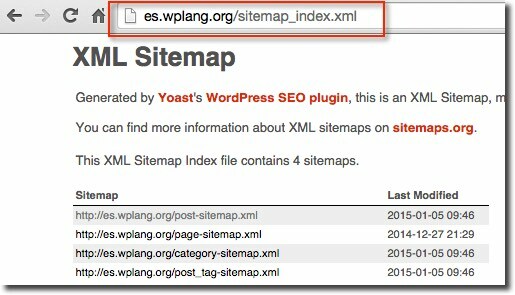 There are different plugins to create a sitemap in WordPress. 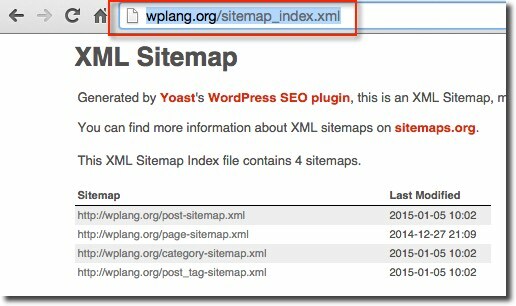 I use Yoast’s WordPress SEO plugin, since it has a section for this purpose and unlike other plugins includes images (Go to SEO > XML Sitemap and enable Sitemap functionality). 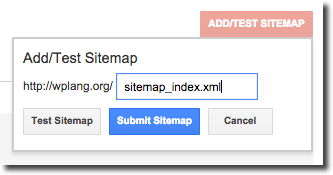 Anyway there are other sitemaps plugins: Google XML Sitemaps, Better WordPress Google XML Sitemaps, XML Sitemap & Google News feeds or Google Sitemap by BestWebSoft. These plugins include in sitemaps information about priority, change frequency and the date of last modification (WordPress SEO also includes images), however none of them include hreflang tag for language URLs. Another option is choosing from a number of third-party tools to generate your sitemap automatically. The only software I’ve found that includes hreflang in sitemaps is a paid solution called Sitemap Generator that costs $19.99 (free version doesn’t include hreflang tag in sitemap). It’s a php script which is designed to run on the server that hosts your website. It is another option that you can use on your multilanguage WordPress website. It generates any kind of sitemap: XML, HTML, text formatted, mobile sitemap and optional extras such as images sitemap, video sitemap, news sitemap or RSS Feeds. Anyway this software automatically detect hreflang from your website, but also you can specify manually alternative language versions for your posts and pages. Install this software on the server that hosts your website, log in http://mydomain.com/generator and go to Configuration > Advanced Settings > Include hreflang for language URLs in sitemap. 4. 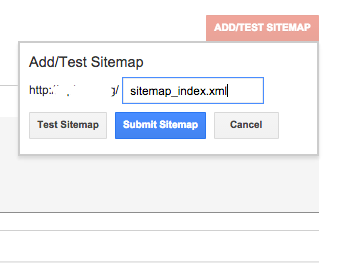 How to manage multilingual sitemaps in Google Webmasters Tools? Search engines are very smart in finding a sitemap. However, it is always advisable that you submit your sitemap to search engines by using webmaster tools. The benefit of this is that search engines will now show you pages indexed, any errors, and other relevant information that will be helpful. If you use subdirectories or subfolders you will have a single domain in Google Webmaster Tools, but note that you can add subfolders (or subsites) in Google Webmasters Tools as a separate sites. This means that if you are using subdirectories for each language, then it is advisable to add each of them on Google Webmasters Tools. 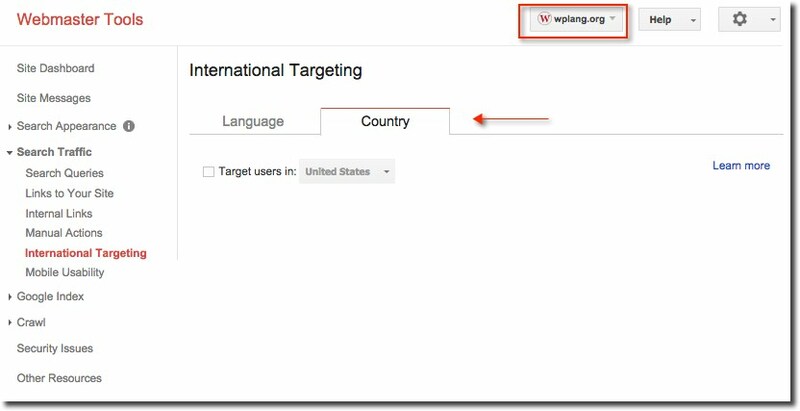 This way you can use International Targeting section in Google Webmasters Tools on each subdirectory. Then you may create one sitemap in the primary domain (http://mydomain.com) and submit to Google Webmasters Tools. This sitemap will include all the URLs mixed in different languages. A very common case is using WordPress SEO by Yoast and WPML. 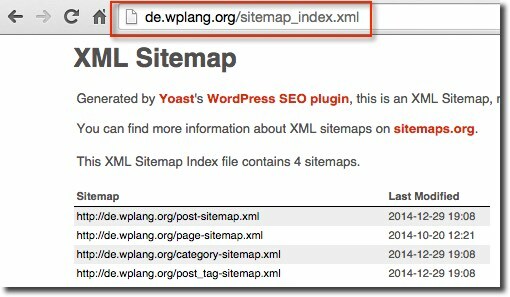 For example, WPML website is using WordPress SEO by Yoast for sitemaps and WPML as a translation plugin. As you can see in the screenshots, sitemaps generated mix URLs in different languages, but this is not a problem since in header are included hreflang attributes. And submit them one by one in Google Webmasters Tools. In this case you will have different domains or subdomains in Google Webmasters Tools. Note that Google consider subdomains as separate sites in Google Webmasters Tools (you should add each subdomain in webmasters tools). If you’re using domains or subdomains for different languages, then you need to create different sitemaps for each domain or subdomain, and submit them separately. 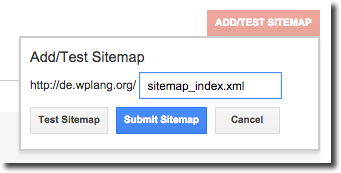 Activate your sitemap plugin for the entire network of sites and create a sitemap for each domain or subdomain. 5. How can I know if I’m using hreflang correctly? 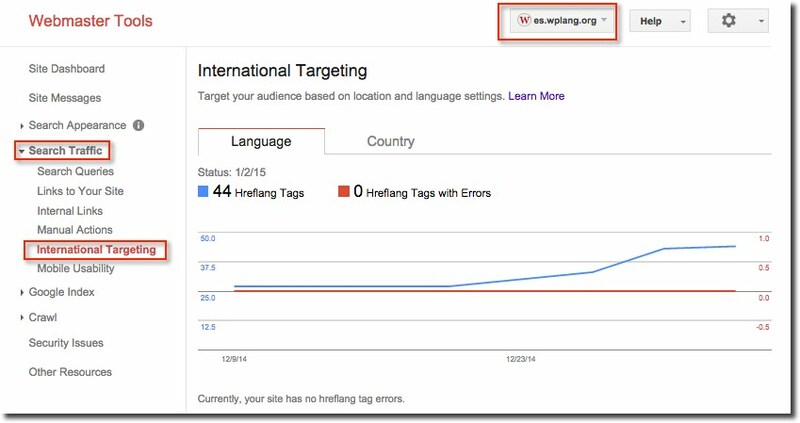 When you configure hreflang annotations, Google finds them on your website and crawls the corresponding URLs referred to by the tags, reporting errors. In Google Webmasters Tools, you can use two sections in the International Targeting page: Language section and Country section. Just go to your Site dashboard > Search Traffic > International Targeting. This section helps you ensure your hreflang tags use the correct codes (language and optional country). Unknown language codes. In case you’re using an incorrect or unknown language code in your hreflang attributes. You can use the Country section to set a site-wide country target for your entire site, if necessary. From the International Targeting section, go to the Country tab and choose your country target. This is important if your site has a generic top-level domain ( .COM, .ORG, .NET, etc), and targets users in a particular country or regional location. This improves search results for geographic or regional queries. If your site has a country-coded top-level domain (.ES, .FR, .RU, .DE, etc) it is already associated with a geographic region (Spain, France, Russia, Germany). In this case, you won’t be able to specify a country location. In other cases, if you don’t want to associate your site with any country, do not check the box “Target users in” or just select “Unlisted”. I hope this post has helped you understand how you can make sitemaps in WordPress in multiple languages. Thanks for sharing! 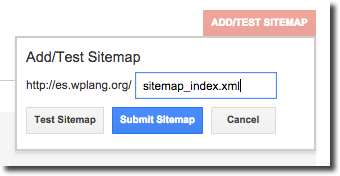 How To Implement The hreflang Element Using XML Sitemaps. Search Engine Land Blog.